Are you confused in choosing between these two cameras? 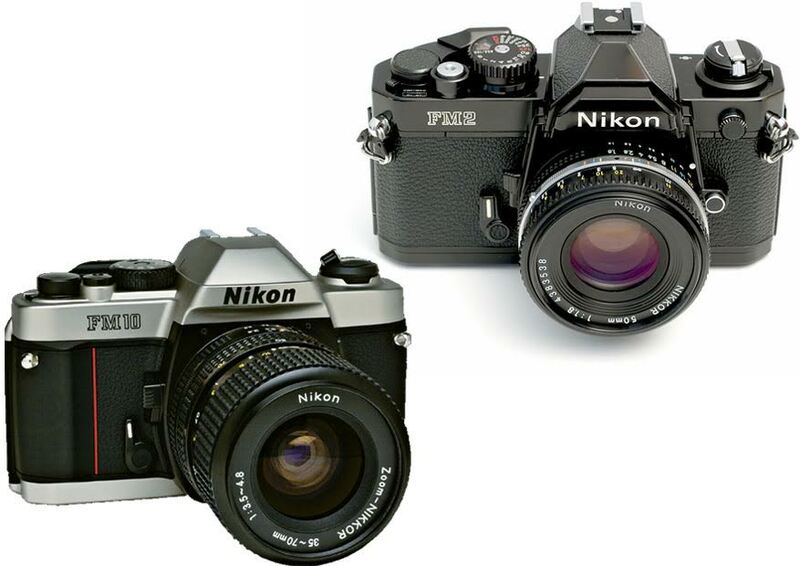 Both Nikon FM10 and Nikon FM2 are famous SLR film cameras. Both are considered as nice choices. However, Nikon FM10 is not actually manufactured by Nikon itself. Instead, Nikon FM10 is actually made by Cosina and is derived from Cosina CT-1. Nikon FM10 is a manual focus 35 mm film camera, was first introduced in 1995. On the other hand, Nikon FM2 is an advanced semi-professional 35 mm film camera. Nikon FM2 is a relatively older model, but is a real part of the classic Nikon compact F-series SLRs. Below, we will put these two models in a comparison against each other. These two cameras may look similar, but there are crucial differences between them. Nikon FM10 comes with a plastic housing. This is indeed disappointing, considering the relatively high price. This makes as if Nikon FM10, made by Cosina, is sold in the Nikon name only to increase price and sales. With a plastic housing, Nikon FM10 is obviously not the most rugged and durable camera. On the other hand, Nikon FM2 is built using the copper aluminum silicon alloy, which is extremely rugged and sturdy. Both models have hot shoes for attaching flash lights. Both work with the 35 mm film format, 36 mm x 24 mm film size. Both provide manual focus and manual control. Nevertheless, Nikon FM10 comes with a film window, which will let you see what film is loaded inside. Nikon FM2 does not have a window on the back door; an upgrade with a window is available, but it is rather expensive. Nikon FM10 has a fixed split focus screen, whereas Nikon FM2 has an interchangeable viewscreen that will let you swap between matte, split, grid, or other types of focusing screens. Two important features that determine how powerful and versatile a camera can be are the ISO and shutter speed. These two aspects greatly affect the camera’s performance in facing difficult lighting conditions and moving objects. Thus, we can say that Nikon FM2 is the more powerful one between the two. Nikon FM10 only has 3200 maximum ISO and 1/2000th maximum shutter speed, but Nikon FM2 offers 6400 maximum ISO and 1/14000th maximum shutter speed. - simple controls, everything a photographer needs is there. In general, Nikon FM2 is the better model. It has much better build quality, ISO range, and shutter speed. It also has an interchangeable viewscreen that will allow you to adapt and customize the camera to your needs and preferences.